A loon sitting on a nest is eyeing me with great concern. She's displaying anxiety, keeps her head way low and wings spread protectively over the nest to try and escape detection. 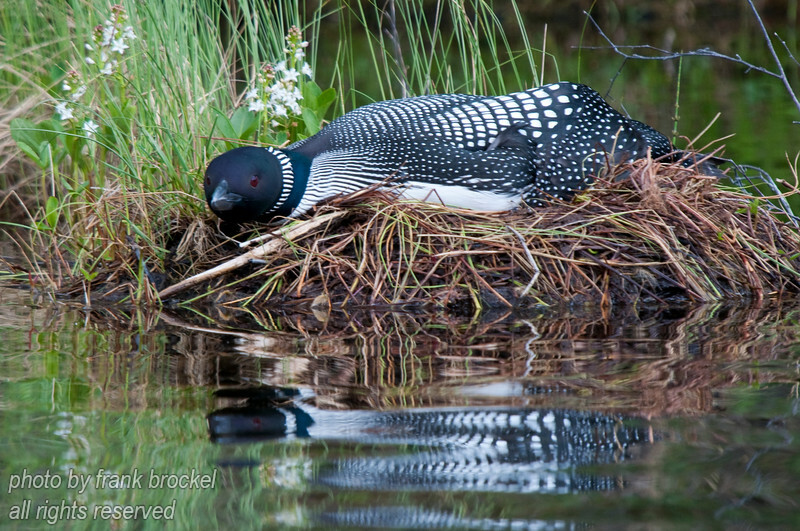 Amazing view of the nesting loon. Where I live I only see them in winter, in their plain plumage. This is a great view.